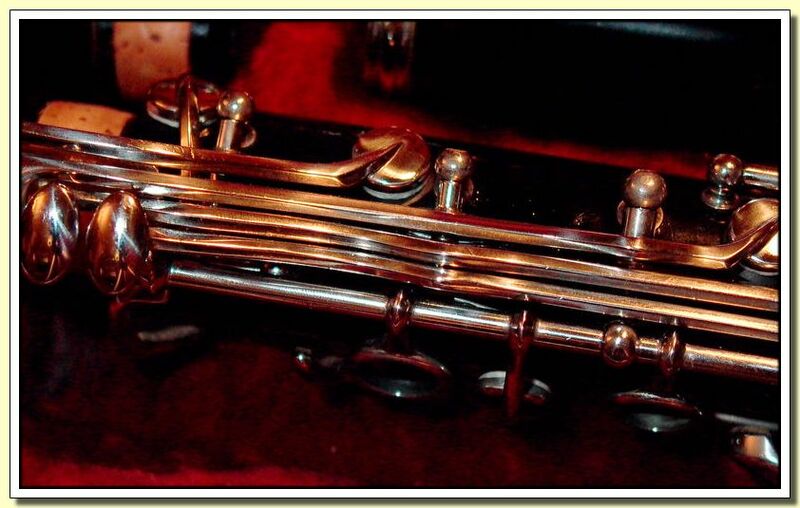 Finished restoring a clarinet into its former beauty. Did a close-up shot of the trill keys. Decided to keep the picture in spite of the skewed white balance and all.